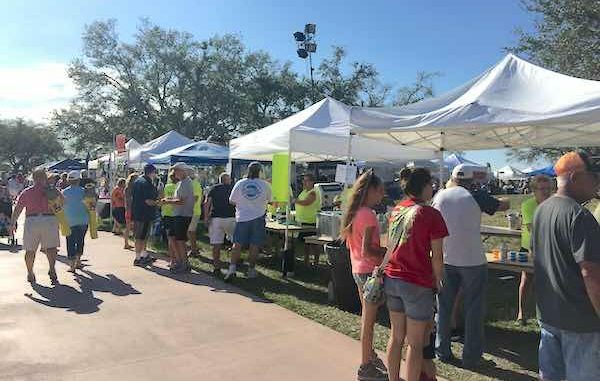 MICCO – The first annual Barefoot By the Lake festival was open to the public Sunday from 11:30 a.m. until 8:00 p.m., offering great music, food, and artisans. “Wow what a day. Never really expected that kind of a turnout,” Barefoot Bay HOA President Roger Compton told Sebastian Daily. This event made history in Barefoot Bay as people from places like Cocoa and Vero Beach made the drive to see it. Upon arrival, cars were parked all along the Barefoot Bay Boulevard since the main lot was full. The community has never seen anything like it, as people walked to a large venue filled with arts & crafts, food, and live music on a giant stage. 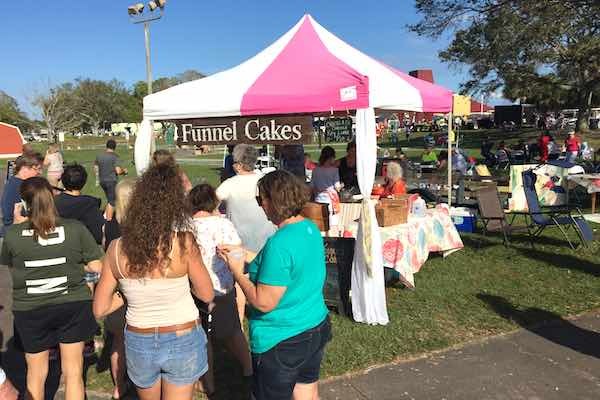 The Funnel Cakes booth was busy! Everyone was talking about those cakes. The HOA-hosted festival wasn’t advertised much. Most people found out by word of mouth. “Was a beautiful day and everyone seemed to have a good time. Very well organized for being the first of hopefully many,” Peggy Steelman wrote on Facebook. Tickets sold at the entrance were to use towards beverages and food. 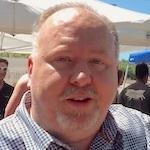 Additionally, you could purchase food from food trucks, Flip Flop Ice Cream Shop & Cafe, Crab E Bills Seafood and other local vendors. 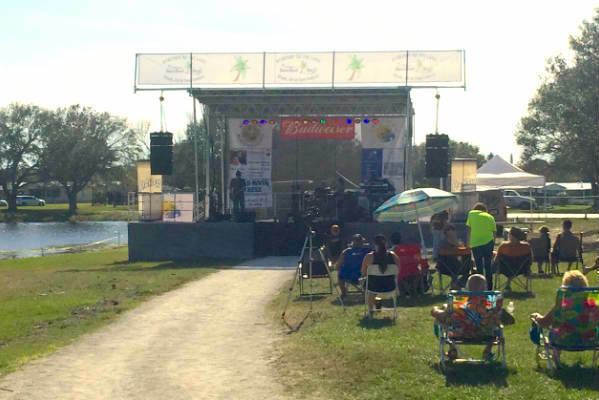 The joint-sponsored venue was spread out across the lakeside of Barefoot Bay, with the giant stage. There were a lot of people there, but it didn’t feel crowded. Everyone we spoke to is looking forward to doing it all again next year.